Dragon Back Meru is the nickname of a 13km long stretch of dead straight road near Puncak Alam in Selangor with a number of challenging up and down hills for runners and cyclists to test their stamina. 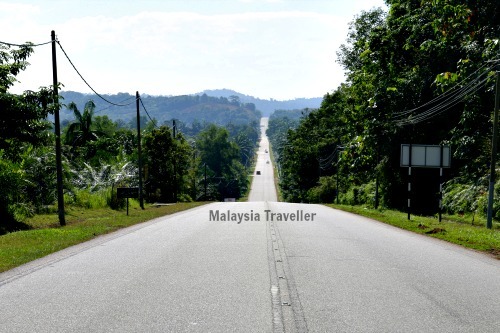 The undulating road, resembling the scales on a dragon’s back, is called jalan Bukit Cerakah and is one of the straightest in the region and travels through pleasant rural scenery and yet is still close to Kuala Lumpur. Several sporting events are staged on this road and in the surrounding area. These include the annual Dragon Back Run which has 23 km, 15 km and 10 km races usually starting on Jalan Paip which is close to Jalan Bukit Cerakah. 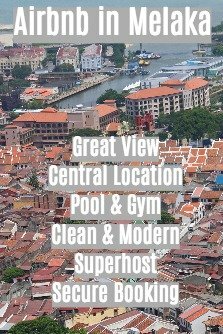 The GPS Coordinates of the event venue are 3.153414, 101.460886. The 2017 Dragon Back Run takes place on 5th March 2017. Even when no race is being held this road is popular with cyclists with its four big climbs and several smaller ones. Traffic is usually light. I have marked the location on this map. Driving from KL the easiest way is to exit the Guthrie Corridor Expressway at junction 3506A and take the B49 Persiaran Mohktar Dahari. Just after the DB Schenker Logistics warehouse there is a set of traffic lights . Turn left onto Jalan Paip and then, at the next set of lights just 200m away, turn right onto Jalan Bukit Cerakah.